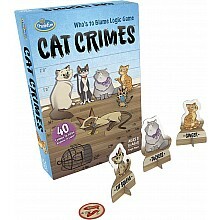 Which cat committed the crime? Use logic to figure it out! 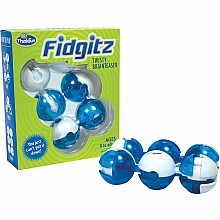 For ages 8 yrs-adult, from ThinkFun. A half a million solutions? You'll never find them all! 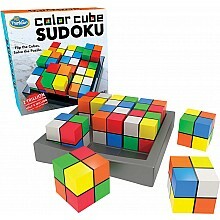 For ages 8 yrs-adult, from ThinkFun. This 3-dimensional puzzle challenge is nearly impossible to put down! For ages 8 yrs-adult, from ThinkFun. Can you outsmart a cybercriminal? Learn how to protect your programs! 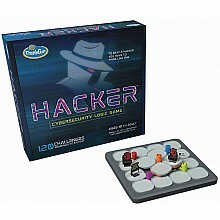 For ages 10 yrs-teen, from ThinkFun. 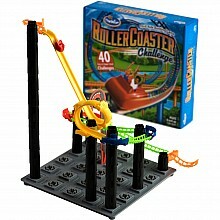 Build a dipping, curving, looping track and watch the action climb! For ages 6 yrs-teen, from ThinkFun. 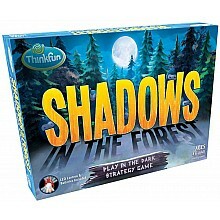 Play this in the dark, with the LED lantern casting spooky shadows on the game board! For ages 8 yrs-teen, from ThinkFun. For both early and pre-readers comes this fast-paced matching game! 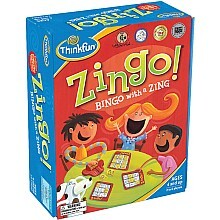 For ages 4-10 yrs, from ThinkFun.